Effective assessment is a key element of great teaching and great learning. At the Queens’ Federation, we are continuously working to implement and develop assessments that are robust and reliable, consistent and comparable with those in other schools nationally. We are also seeking to make them manageable and useful for teachers, enabling them to focus on pupils’ key next steps in their learning. In KS1 (Year 1 and Year 2), teachers make termly teacher assessment judgements in Reading, Writing and Mathematics based on their ongoing informal observation of the children’s learning. 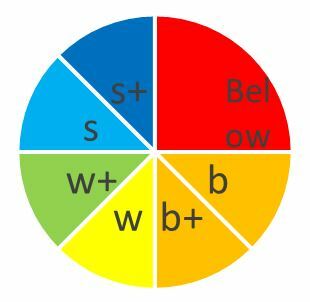 In writing, an independent writing task is also set each term and is assessed using a modified version of the ‘Big Writing’ criterion scale, developed by Ros Wilson. In Year 2, teachers use the KS1 interim assessment frameworks and previous KS1 tests to ensure their in-year judgements are consistent with national expectations. In Year 6, teachers use the KS2 interim assessment frameworks and previous KS2 tests to ensure their in-year judgements are consistent with national expectations. We work together across the Federation to ensure that our assessment judgements are consistent both within and across our two schools. We devote staff meeting time at each assessment point to standardise our judgements and engage in moderation activities. In addition to this, we are continuously exploring ways to work with other local schools to support each other in making consistent and reliable assessment judgements. We use Essex Target Tracker (TT) for our school assessment data in Reading, Writing and Mathematics. At appropriate termly intervals, children’s attainment is recorded as a ‘step’ on the TT progress ladder. The ladder is divided into 6 bands (which correspond to expectations for each year group, e.g. Band 3 = expectation for Year 3). Child is just starting to work within the expected standard for the end of the year. Child is starting to work within the expected standard for the end of the year. Child is working just at the expected standard for the end of the year. Child is working at the expected standard for the end of the year. Child is working at some depth within the expected standard for the end of the year. Child is working at greater depth within the expected standard for the end of the year. The expectation is that children should be working towards securing and ‘mastering’ the curriculum content for their year group, rather than being ‘accelerated’ through content for future years with only a superficial understanding of it. Where children have secured the key objectives for their year group (and are assessed at s or s+), they will be given opportunities to show their understanding and application of those objectives at greater depth, rather than moving them onto the objectives for bands above their year group. Where children have not secured the key objectives from previous years, we will continue to track their progress through lower bands while seeking to help them catch up and reach the expected standard. We believe this approach balances the need for high expectations with the importance of recognising the steps of progress children are making from their starting points. In our assessments, we set a minimum threshold for children to cross before they can be considered to be ‘beginning’ to work in a particular band. When children are not yet able to attain that minimum threshold in the assessment, they will be assessed at the lower band, to ensure that important prior knowledge is securely in place. The Target Tracker software enables teachers to quickly review the achievement and progress of their class and of particular vulnerable groups within it (e.g. Pupil Premium or EAL learners). After each assessment, class teachers will use their data to make adjustments to teaching and learning. This may include: revisiting areas of the curriculum with the whole class; providing flexible guided support on objectives that specific groups found challenging; targeting additional 1-1 or small group intervention for children failing to make good progress (or to catch up with their peers). A 2w+ 2s 3b+ 3w+ This child finished Y2 at the expected standard. Progress in Y3 autumn was slower, but they progressed 6 steps during Y3 to achieve the expected Y3 standard by the summer. B 1s 2b+ 2w+ 3b This child finished Y2 well below the expected standard. However, they made accelerated progress during Y3 (8 steps) and finished the year starting to work within the expected standard. C 2s+ 3b+ 3w+ 3s+ This child finished Y2 working at greater depth within the expected standard. They made 6 steps of ‘good’ progress during the year and were working at greater depth in the Y3 standards by the end of the summer. In Science, teachers assess their pupils each half-term against the objectives laid out in the National Curriculum for the particular unit they have taught. For each unit, they record whether a child is working towards, at or at greater depth within the expected standard in their knowledge and understanding. They also select a different aspect of ‘Working Scientifically’ and assess their children in a similar way in that area. These assessments are used to inform a summary end-of-year Science judgement which is recorded in Target Tracker. In Years 2 and 6, we also use of end-of-Key-Stage assessment criteria to ensure our judgments match national expectations. Assessment in other subjects is carried out informally, with teachers making judgements based on three aspects of the children’s learning in each subject each year. These judgements indicate whether the child is working towards, at or at greater depth within age-related expectations and are incorporated into the child’s end-of-year report. Subject leaders monitor the skills that are assessed in each year group to ensure that there is good progression and to make judgements on standards being achieved.